Californians have always loved their cars, but it has been 20 years since a new vehicle rolled off the line in Southern California. 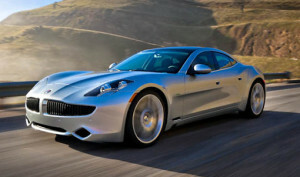 Karma Automotive (formerly Fisker Automotive) is set to build its new electric vehicles in Moreno Valley. The luxury car company has leased a 556,000 square foot industrial building for manufacturing, and City leaders couldn’t be happier. “We are bringing jobs into the Inland Empire,” said Moreno Valley’s Economic Development Director Mike Lee. “We are bringing a brand new industry into the Inland Empire, and we’re extremely excited that they’re coming to Moreno Valley, California,” Lee said. Moreno Valley also houses distribution centers for Amazon, Skechers, Harbor Freight Tools and Deckers. California Life’s Jason Rzucidlo (of AmericaJR.com) asked Lee what makes Moreno Valley so attractive to big companies. Learn his answer and much more on Karma’s plans by checking our our story below, airing statewide this week on California Life!